For nine and a half weeks Michael Jackson has walked into court to hear prosecutors portray him as a long-time child molester. Now, as CBS News Correspondent Vince Gonzales reports, the defense could turn the trial into a red-carpet affair with witnesses such as Jay Leno, Macaulay Culkin and Elizabeth Taylor. Jackson biographer and CBS News Consultant J. Randy Taraborrelli reports that Taylor could be more than just a character witness because she has information about the 1993 accusations against Jackson. In 1993, Elizabeth Taylor was called the "queen of the defense" because she was so involved in those allegations. Taraborrelli reports she will testify to the fact that Jackson wanted to fight those allegations but was encouraged by his insurance company to settle those claims. As for Jackson, CBS News Legal Analyst Andrew Cohen reports it's a long shot defense attorney defense attorney Thomas Mesereau Jr. will put him on the stand. "When a defendant testifies in a criminal case, it's because the defense is very worried and is on the defensive," reports Cohen. "I don't think that's the case here." In fact, prosecutors have been on the defensive thanks to a series of stumbles and witnesses who did more for Jackson. On Tuesday, the prosecution tried to undermine earlier testimony from one of their own witnesses — Jackson's ex-wife Deborah Rowe — by calling an investigator who said Rowe told him last year Jackson was a "sociopath." On Wednesday, the prosecution was to resume its questioning of Rudy Provencio, who worked with Jackson and an associate, Marc Schaffel, on a planned charity recording called "What More Can I Give." Schaffel is one of several men prosecutors have named as unindicted co-conspirators in the case. Provencio joked Tuesday about getting rich off the Jackson charity project and admitted rifiling through private files. His testimony came as the prosecution neared the end of its case. A forensic accountant also testified Tuesday that the pop star was spending $20 million to $30 million more every year than he earned, a deep financial problem the prosecution contends underlies conspiracy allegations in the case. But CBS News Legal Analyst Mickey Sherman says he doesn't believe highlighting the pop singer's financial woes will help the prosecution's case. "Who cares?" says Sherman. "It does not move the ball closer to determine whether or not he molested this young man or not. "It makes no sense to me." The detailed analysis of Jackson's multimillion-dollar empire was brought into the trial over vehement objections from defense attorneys who said it was irrelevant to the case and was based on hearsay statements contained in memos from various financial advisers. CBS News Correspondent Steve Futterman reports that Jackson may be the king of pop, but he seems to not be able to keep a reign on his own finances. There have been rumors about Jackson's dire financial condition for years, but this was the first time so many details were laid out in court, Futterman reports. 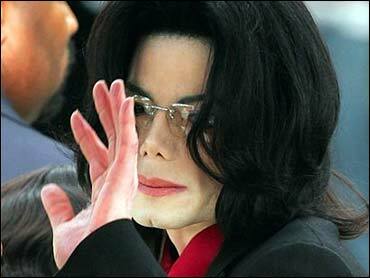 A forensic accountant testified that as of 2002 and 2003 Jackson had massive debts. Judge Rodney S. Melville instructed jurors they were not to consider the accounting figures "for the truth of the matter" but merely to show how the expert reached his conclusions. Under questioning by Deputy District Attorney Gordon Auchincloss, forensic accountant John Duross O'Bryan traced Jackson's assets and liabilities from 1999 to 2004. The witness said he obtained only one balance sheet, from June 30, 2002, and it showed Jackson with a net worth of negative $285 million. He said this included assets of $130 million and liabilities of $415 million. He said the balance sheet was prepared on a tax basis and assets listed might actually have higher values. "There was an ongoing cash crisis, not enough cash to pay bills," Duross O'Bryan testified. He said he formed his opinions by reading through boxes of memos exchanged by Jackson's financial managers over the years, and he told of a warning to Jackson that if his overspending continued he might be forced to sell off his two greatest assets, the catalogue of his own songs and the Sony-ATV catalogue which contains rights to the works of numerous other artists including the Beatles. Jackson, 46, is accused of molesting a 13-year-old boy at his Neverland ranch in February or March 2003, giving him alcohol and conspiring to hold the accuser's family captive to get them to rebut a damaging documentary about the pop star.